Flamboyant hats. $16 Mint Juleps. Mudders. And ... cue the yawns. Today is the Kentucky Derby and - admit it - the only reason you're tempted to watch is because you're anchored to the couch after ingesting a little too much Cinco in your de Mayo. It's horses. Which are not athletes. And who have no idea whether they win, lose or draw, as long as it leads to a post-game meal. It's billed as the "most exciting two minutes in sports." What the what? Give me the final act of any NBA Playoff game or, for that matter, the waning moments of a Jags-49ers' half. The first half. 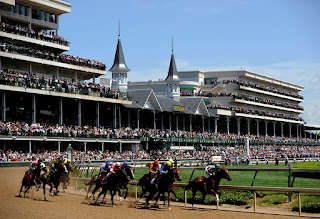 One of the few sporting events I've never attended is the Kentucky Derby because, well, I just have no desire. Nor do I have any interest in watching NBC's five-hour - I kid you not - pre-game show today. I mean, foreplay is great and all, but ... five hours for two minutes isn't my kind of math. No, the "Run For The Roses" isn't the most overrated events in sports, but it's undoubtedly on the short list. 10. Tour de France – Bunch of drug cheaters who’ll never drug cheat as well as Lance Armstrong. 9. Army-Navy – Pageantry, yes. Quality, must-see football? Nope. Not anymore. 8. Indianapolis 500 – Once the “Greatest Spectacles in Racing,” it’s long been swallowed up and digested into tiny, irrelevant bile by NASCAR and its Daytona 500. 7. 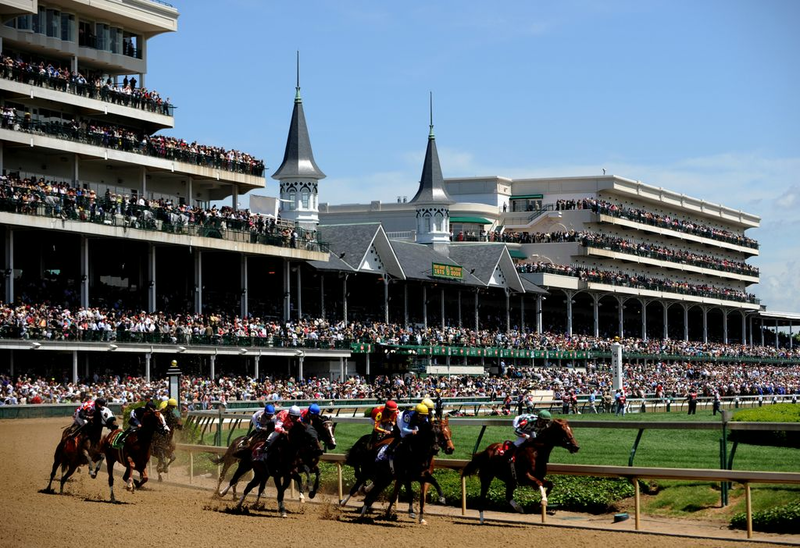 Kentucky Derby – We waited almost 40 years for a Triple Crown winner and, just like, it fizzled. Quick, which horse won it last year? Right. 6. Any Heavyweight Boxing Championship Fight – Epic? Really? Fine, then name the current champ. No way you guessed right, because (far as I can tell) there are actually two. One from New Zealand (Joseph Parker) and one from England (Anthony Joshua). Once upon a time there was Liston, Ali, Frazier, Foreman and Tyson. Sigh. 5. College Basketball Post-Season Conference Tournaments/Any College Football Bowl Game Outside The Final Four – Hailed as March Madness, the hoop tournaments are merely meaningless appetizers. And the habit of draftable players skipping random football bowl games has only just begun. 4. Winter Olympics – Sold as a global event, but barely one-third of the world’s nations (68 of 196 at Sochi in 2014) participate. And way less than that can relate to events like Ice Dancing, Curling and Biathlon. 3. NFL Scouting Combine – Things tend to change drastically when they put the pads on. 2. Opening Day – Baseball hypes this as a national holiday, but it represents exactly 0.61 percent of the six-month, 162-game season. 1. Heisman Trophy – Exactly 0 of last 17 quarterbacks to win the storied hardware has gone on to win a Super Bowl: Andre Ware. Ty Detmer. Gino Torretta. Charlie Ward. Danny Wuerffel. Chris Weinke. Eric Crouch. Carson Palmer. Jason White. Matt Leinart. Troy Smith. Tim Tebow. Sam Bradford. Cam Newton. Johnny Manziel, Jameis Winston and Marcus Mariota. I rest my case. Yeah - you forgot NBA regular season. An 82-game 6-month slogfest where the teams with the realistic chance of winning the championship have a playoff spot pretty much guaranteed by the All-Star break and you don't even get a trophy for finishing with the best record like at least the NHL does? Yawn. The end of an NBA playoff game? Really, you mean the one where it takes 18 minutes of actual time to play the final two minutes? I'll take the horse race. At least when the gates open, the horses start running and don't stop 'till it's over. I'll take that over 6 commercial breaks in the final "two minutes" of ANY NBA game. I was always wondering how people can predict what participant will win the race. For me it's a real miracle. I like to watch and don't know which horse will come first. Writemyessayonline.com review shows that there are not so many people with such thoughts during competition.